Quiet Lakehouse in the Hudson Valley- Canoe, BBQ and Relax! Property 1: Quiet Lakehouse in the Hudson Valley- Canoe, BBQ and Relax! Large home w/ beautiful gardens on pond in Berkshires. Walking distance to town. Property 11: Large home w/ beautiful gardens on pond in Berkshires. Walking distance to town. Property 13: UNIQUE HOUSE, RARE SETTING IN TOWN ,ON WILLIAMS RIVER. Beautiful Berkshire Getaway, 200+ Acres! 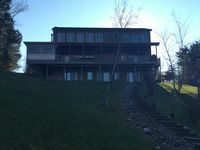 Property 18: Beautiful Berkshire Getaway, 200+ Acres! Come Relax and Enjoy the Berkshires! Property 20: Come Relax and Enjoy the Berkshires! Modern Farm House Right Off Warren St.
Property 22: Modern Farm House Right Off Warren St.
To Ski or Not to Ski... Great Conditions, Great Fireplace. Your Choice. Property 27: To Ski or Not to Ski... Great Conditions, Great Fireplace. Your Choice. Private Hillsdale Home With Views Of Catamount. Property 30: Private Hillsdale Home With Views Of Catamount. Craftsman Bungalow with Catskill views - 5 minute drive to top of Warren Street! Property 35: Craftsman Bungalow with Catskill views - 5 minute drive to top of Warren Street! Large Barn styled vacation home that fits groups with space to spare. Property 36: Large Barn styled vacation home that fits groups with space to spare. 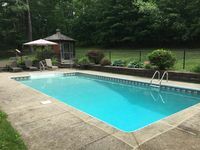 Chillin' in the Berkshires, Hudson Valley and Southen Vt.
Property 37: Chillin' in the Berkshires, Hudson Valley and Southen Vt.
Property 40: Escape to Hudson NY! Welcome to WIndswept Acres in the Berkshire Mts! Only 11 miles from Tanglewood! Property 43: Welcome to WIndswept Acres in the Berkshire Mts! Only 11 miles from Tanglewood! Spring Special! * Tranquil Family-Friendly! Minutes to Kripalu, Lenox and more! Property 50: Spring Special! * Tranquil Family-Friendly! Minutes to Kripalu, Lenox and more! Rented this house for a weekend trip with a group of adults. The home is gorgeous, with lots of great spaces for the group to hang out (we had many meals at the massive dining room table). The fridge was actually a good size for the size of the home, and the kitchen had plenty of counter space and a good pantry for us to store food in. The driveway is fairly large, and the place feels pretty privet (despite being in a neighborhood). We LOVED having the hot tub and sauna, and played a good few rounds of pool. The walls are a bit thin, so the folks in the basement could hear the later night sauna talk, but overall would definitely rent this place again.